Nowadays, everyone is super prepped up in openings, you might be too, and you’re likely getting good positions out of them, but it’s in the middle game where battles are decided. 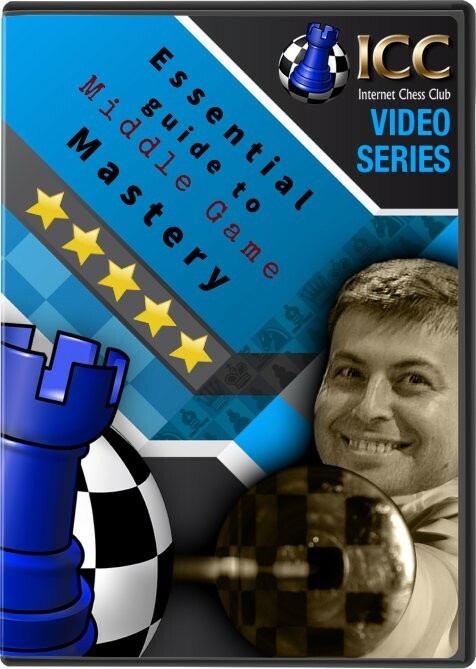 In this magnificent video series, GM Alterman (ELO 2611) carefuly takes you through all the key aspects and secrets of middle game play. The Positional Sacrifice, when a quiet sacrifice can create permanent and lasting damaging to your opponent’s position. The Art of Defense, you’ll learn all the resources you have to deflect your rivals attack with 6 videos on the often ignored but hugely important topic. Strong outposts, find how to create and exploit strong outposts. Opposite side castling attacks, always exciting but hard to master, GM Alterman shows you how to deal and win these attacks. Imagine what’s going to happen when a club player gets familiar and masters these concepts in tournament or online play. Their unsuspecting rivals get torn apart! In total you’ll receive an amazing pack of over 70 videos, with 34+ hours of amazing instructional material. All in a super pack which is by far the best value option. A truly awesome collection that we’re sure will help you reach master level! Here’s the complete product content. Middle game mastery made yours.